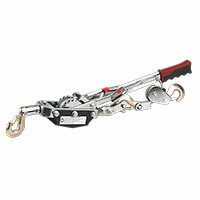 Make moving bulky items around your workshop both simple and safe with a hand winch from Euro Car Parts. Browse the full range below today. When you’re working on a big maintenance job, repair job or even a complete restoration, you’ll often need to be able to move large car parts from one area to another – a task that’s simply impossible without a little assistance. That’s where it can be really useful to have a hand winch at your disposal. 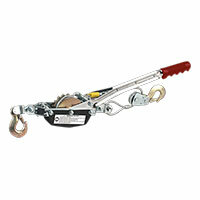 In the range above you’ll find hand winches suitable for a range of loads, including hand power pullers and wire rope pullers. As well as being the UK’s leading distributor of parts, we also offer a free click and collect service to any of over 200 branches up and down the country. We also provide a free UK delivery service, and offer a 365-day returns policy, so should you realise the hand winch you’ve ordered is the wrong size for your task, it’s really simple to arrange a return and swap it. Browse our full range of hand winches in the collection above, and don’t hesitate to call in to your local store for further information.